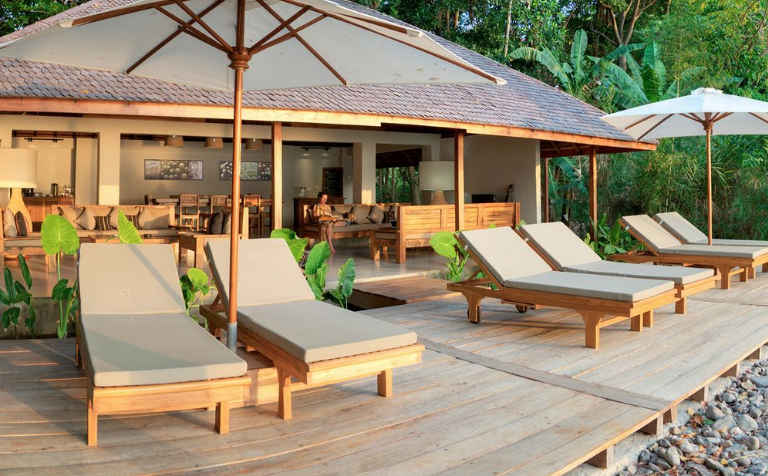 Being one of the eastern most islands of Indonesia, this destination is definitely still off the beaten track. With only a handful of businesses in the tourism and diving industry, Abyss Ocean world have chartered the best resort in the area. 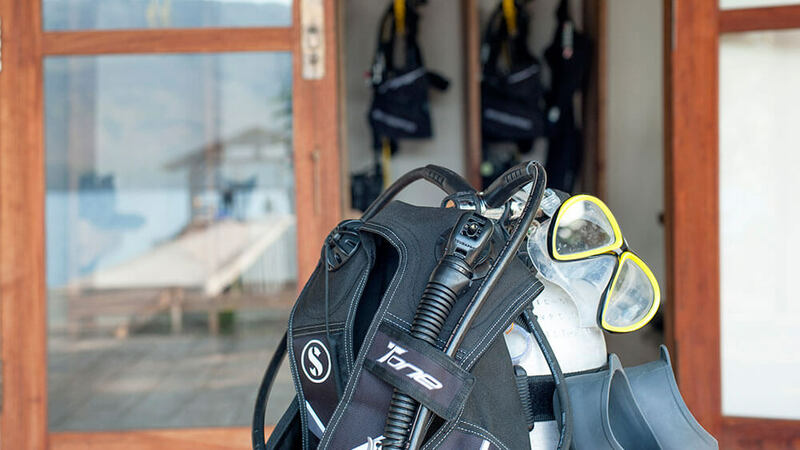 There are over 4 different areas for diving allowing us to dive some of the most pristine water we have ever encounter. 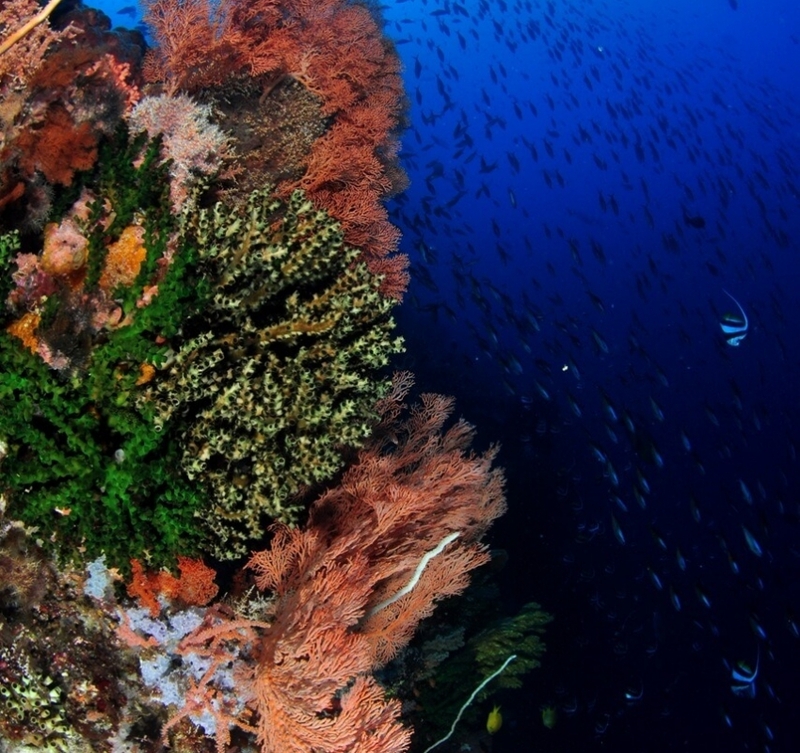 Alor also offers some of the most mesmerising muck dive that exists. 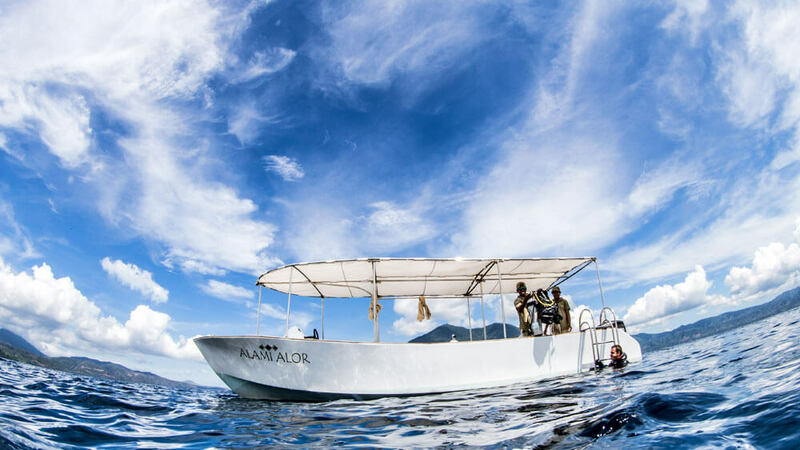 We will either dive directly in the straight between Pantar and Alor or dive in Kalabahi bay between Alor Kecil and Alor. Ikat weaving, moko drums and tribe villages makes Pulau Alor extremely interesting to visit. Join us for some treks, visit markets or play with the young kids of the village. Our time on land will be high in colours and in laughter. 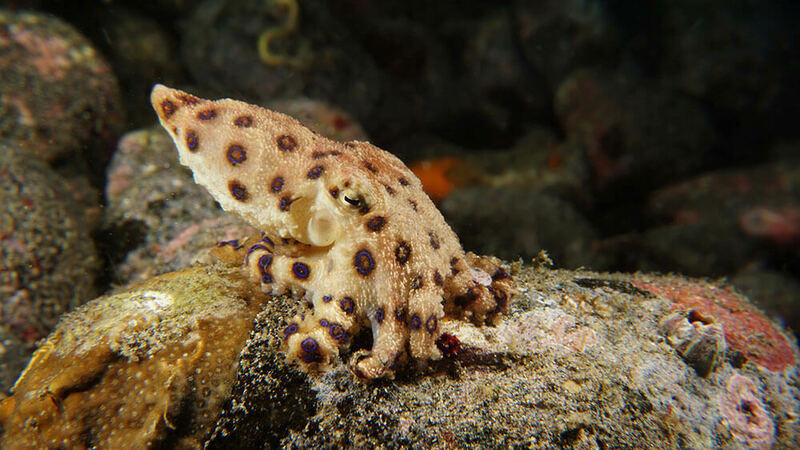 This dive trip will be exclusively handle by our team at Alami Alor Resort. Offering us the best of two worlds ; diving and land exploring. We have the opportunity to call this ideallic beach front property ours for the 11 nights we will spending there. 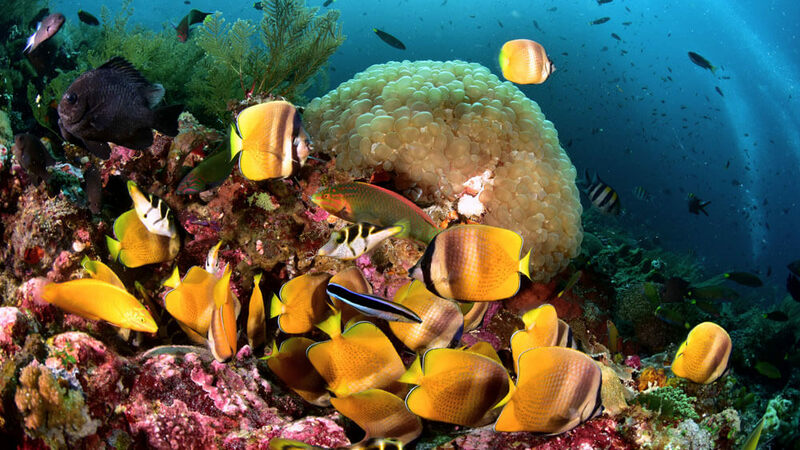 We will be eating some of the most succulent and healthy food we can find in Indonesia and be diving some of the most astonishing reefs and muck dive the country has to offer. A great combination between cultural tour with tribal villages, food and art market as well as diving, awaits you. 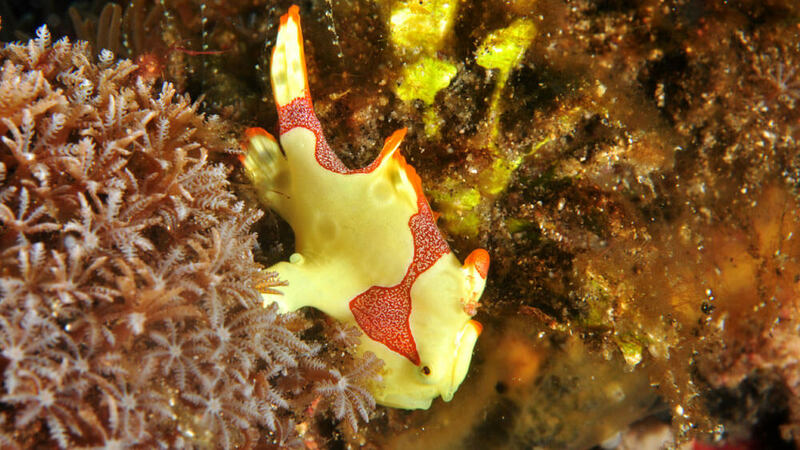 Rhinopias, frogfish, seahorses, anemone fish, thousands of anthias with the occasional mola-mola passing through the straight … Join us for a mesmerising out of the beaten track trip.